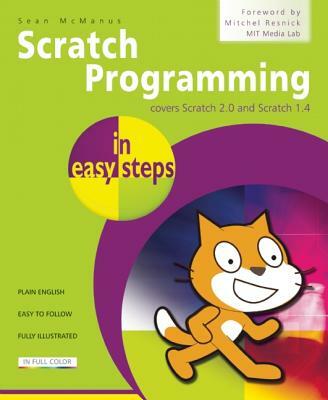 "Scratch Programming in Easy Steps" introduces readers to Scratch, a programming language that is widely used on the Raspberry Pi. Using Scratch's highly visual interface, you'll learn how to make games and animations. Along the way, you'll learn about some important ideas that underpin most programming languages. The book includes examples of games and techniques that readers are invited to customize and build on to make their own programs, and begins with a foreword by Mitchel Resnick, Professor of Learning Research at the MIT Media Lab, which created Scratch. Covers Scratch versions 1.4 and 2.0.